Two months after hosting a powerful worship concert – THE IMMERSION. 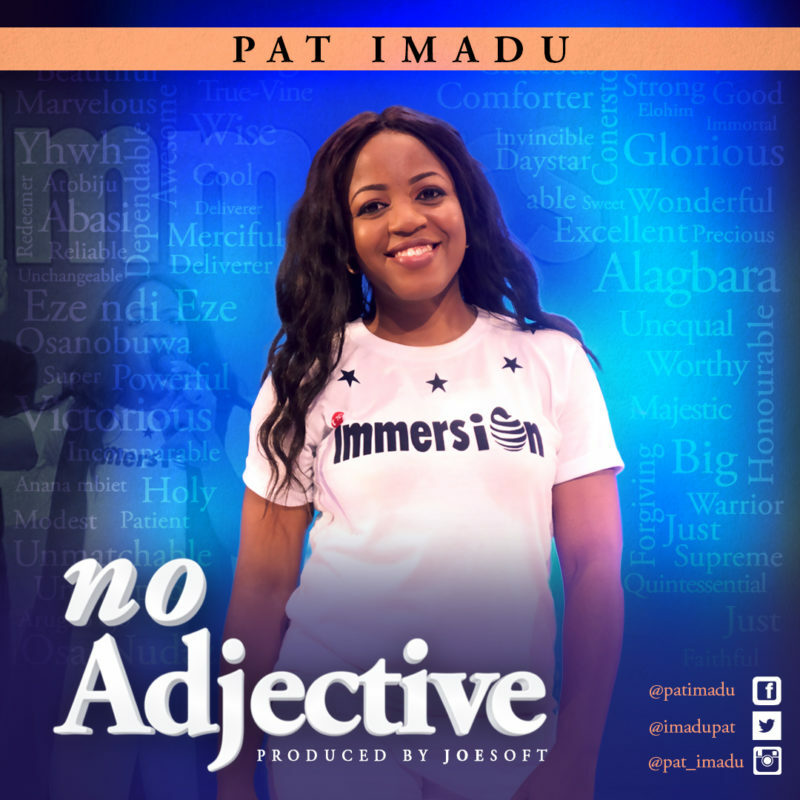 Pat Imadu, a Nigerian born, passionate worshipper extraordinaire has finally released a single – ‘No Adjective’, off her soon-to-be-released and much anticipated album. often times we search for the right adjective to describe God based on our individual experiences of Him, per time. However, no adjective in our language can truly capture the whole essence of God. Pat Imadu a prolific songwriter, fast-rising music maestro, worship leader and the convener of the annual worship concert – The Immersion, believes that the act of worship is a rare privilege for every believer in Christ. She also views music as a vehicle to convey a content (the message of the finished work of Jesus Christ). Over the past ten years, she has nurtured her music vision, serving diligently in the Streams of Grace (the music department of The Brook Church) under the mentorship of Pastors Ose & Naomi Imiemohon. It’s OK, you tried please keep it up I pray for more grace.